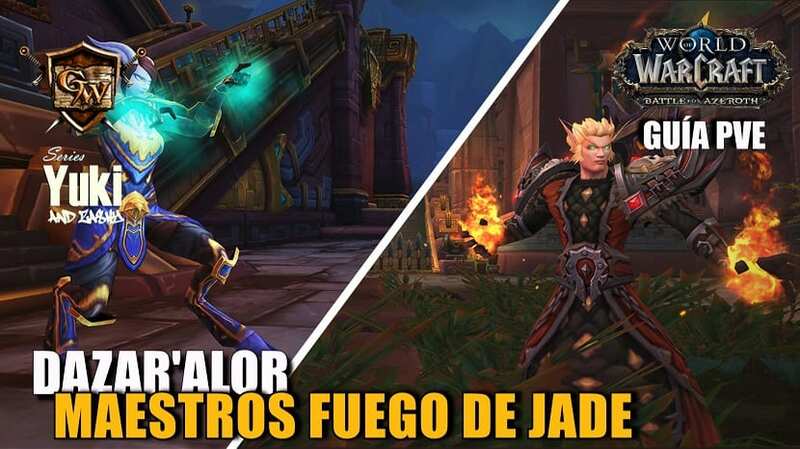 Hace unas horas, Watcher, Game Designer de Wolrd of Warcraft contestaba en un post del foro inglés muchas dudas y aclaraciones sobre los futuros anillos legendarios del parche 6.2. Anteriormente hablamos de los nuevos anillos legendarios, la nueva dinámica de que posean efectos de uso grupales ha provocado en la comunidad oleadas de post mostrando el acuerdo o desacuerdo con esta novedad. En uno de los post del foro inglés, Watcher ha contestado detalladamente muchos detalles e información sobre este tema. En GuiasWoW os traemos el post en su idioma original y traducido al español. Let me try to address a few of the concerns raised in the thread and explain our thinking. First off, why this wacky raidwide effect? Why not a traditional legendary that is purely individual? The idea’s origins lie in what this particular legendary is: a ring. It’s not a weapon designed to strike foes, or a shield to protect you from harm. And what is the nature of a ring? Whether we’re talking about seven rings for the Dwarf-lords in their halls of stone, about Captain Planet, or about common social covenants in our own societies, rings tend to be paired with counterparts, and to have their meaning derived from the connections entailed therein. A lot of fluff, perhaps, but that’s what got us thinking along the lines of a group effect rather than a personal one. This certainly isn’t a template for all future legendaries, but we find it very fitting for this particular one. Blast Furnace : Largely wasted if you use it on the pull; you might save the first activation for the second pair of Operators, and then during the second phase you’d aim for windows of Elementalist vulnerability, since that’s what matters most. Operator Thogar : Here we run into some unique considerations associated with the explosion. You could activate the ring in advance of a Man-at-Arms wave, getting a damage burn on Thogar while you build up the potential AoE that will go off just in time to alpha-strike the dangerous enemies right as they jump off a train car. Flamebender : If you aren’t running into her berserk, the Cinder Wolves are your main concern. You’d probably benefit from waiting until she’s at 45 or so Energy, and timing the explosion to get a large head start on the Wolves. Especially on Mythic. Blackhand : Aside from the obvious uses to speed up phase 1 and phase 3, I could see having your initiating player as the person who’s about to get knocked up onto a balcony with a fresh wave spawn due, timing the explosion to pretty much erase the whole wave of enemies right as they exit the door on the ledge. Now, on something like Gruul, you probably would just use it on cooldown every time. But I’d say Gruul is more the exception than the norm. This is a fair point, and I sympathize. Setting aside the fact that when doing any solo content you have complete control over the activation, there is still more control with this legendary than with nearly any of our prior examples. Procs could occur at completely inopportune times, often wasting them entirely, and whether you got lucky and had Xuen’s cloak trigger just as a large pack of enemies got clumped together, or whether it fired 10 seconds earlier or later, could drastically alter your total damage on a given encounter. At its core, the legendary ring is a raid item – the vast majority of the content and the collection steps take you through raid content – and players who are part of a raid group are by definition cooperating and coordinating to tackle challenges. The rings add another layer to that teamwork. Even outside structured guild raiding, it’s neither typical nor tolerated in pickup groups for, say, a mage to use Time Warp to maximize personal damage at the expense of the raid, and I’d be surprised if it’s common to see it done with the ring. Now, yes, in Raid Finder, though you also won’t generally be seeing raids with tons of ring-wearers, you’ll probably see some selfish behavior. But even then, the effect isn’t wasted (merely suboptimal), and that action isn’t likely to affect the group’s success or failure on the encounter as a whole given Raid Finder’s tuning. True. We could have made a perfectly evenhanded ring effect – something like “Equip: Increases damage and healing done by 10%.” That also would have been very lackluster. Nearly any effect with any depth to it will benefit some more than others so long as our classes/specs have varied strengths and weaknesses. (And we don’t feel that class homogenization is the answer, either.) Over the course of a fight, that may amount to a difference of a couple percent damage, if that. Hopefully we continue to make interesting and unusual items, and some of those will favor specs that feel the ring was suboptimal for them. There’s nothing in particular about the ring’s design that discourages raids from bringing people who don’t yet have it, as compared to any other type of legendary or any player-power increase. Players without the ring will do some percentage less damage (or healing, or have one fewer tank cooldown) over the course of the fight as a whole, but that’s just the nature of any big-power item. It’s not really different from the cloaks in Mists, or theoretical alternate versions of the ring that had no group synergy component. I’m sure that later in the expansion there will be guilds and pickup groups that strongly or exclusively prefer people with legendary rings, but that’s a social dynamic that’s nearly unavoidable with any form of player power progression, whether it’s a specific legendary or just item level in general. Also, as a separate clarification, I wasn’t saying it that it won’t be used on the pull. It absolutely will be used on the pull in the vast majority of cases. However, the cooldown is short enough that many other opportunities will arise to be more tactical with its use as the fight goes on, rather than just using it automatically every 2 minutes thereafter. Finally, nothing in Hellfire Citadel is being tuned around having the ring. That’s a big part of why it is not currently available to use in PTR testing. In Siege of Orgrimmar, many players had their cloaks before they first set foot in the zone on the day of the patch, which somewhat diluted the impact of completing the cloak since those players didn’t really get a before-and-after comparison of specific fights once they’d earned it. Cutting edge progress in Hellfire Citadel, on the other hand, will occur without legendary rings in the raid. 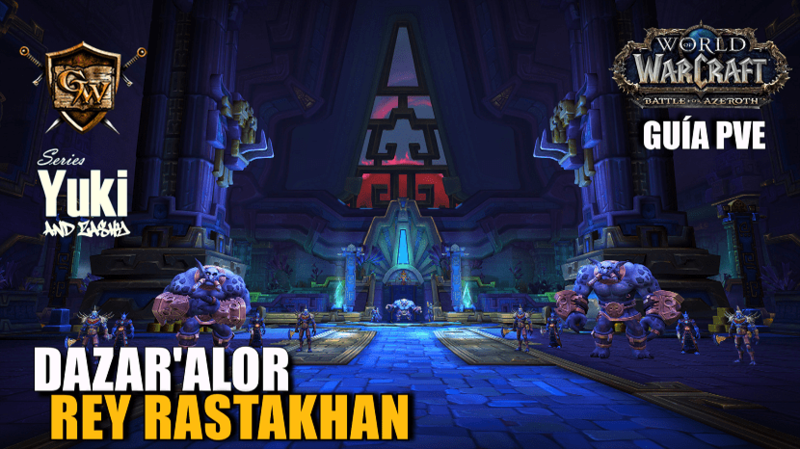 And then as raid members complete their rings, the power of the legendary will help you overcome Gul’dan’s forces. Voy a tratar de abordar algunas de las preocupaciones planteadas en el hilo y explicar nuestra forma de pensar. En primer lugar, ¿por qué este efecto tan alocado de banda? ¿Por qué no un legendario tradicional que es puramente individual? Los orígenes de la idea se encuentran en lo que este particular objeto legendario es: un anillo. No es un arma diseñada para golpear enemigos, o un escudo para protegerse de cualquier daño. ¿Y cuál es la naturaleza de un anillo? Ya sea que estemos hablando de unos siete anillos para los Señores Enanos en casas de piedra, sobre el Capitán Planeta, o alrededor de pactos sociales comunes en nuestras propias sociedades, los anillos tienden a ser emparejados con las contrapartes, ya que su significado deriva de las conexiones implicadas en el mismo. Una gran cantidad de pelusa, tal vez, pero eso es lo que nos hizo pensar en la línea de un efecto de grupo en lugar de uno personal. Esto ciertamente no es un modelo para todos los legendarios futuros, pero resulta muy apropiado para éste en particular. Horno de Fundición: Se desperdiciaría gran parte si se usara en el pull; sería mas conveniente guardar la primera activación para el segundo par de operadores, y luego en la segunda fase durante el periodo de focus con la vulnerabilidad Elementalista, ya que eso es lo más importante. Operador Thogar: Aquí nos encontramos con algunas consideraciones únicas asociadas con la explosión del anillo. Aquí podríamos activar el anillo antes de una oleada de Hombre de armas, realizando un daño explosivo en Thogar mientras se acumula el potencial AoE del anillo que se liberaría justo a tiempo para dañar a todos los enemigos peligrosos, que saltan del tren. Dominallamas: Si no se está haciendo el combate a lo loco, los Lobos de ceniza son la principal preocupación. Probablemente será beneficioso esperar hasta que Dominallamas esté en 45 o menos energía, para que el momento de la explosión del anillo consiga realizar un gran daño sobre los lobos. Especialmente en Mítico. Puñonegro: Aparte de los usos obvios para acelerar la fase 1 y la fase 3, pude ver que un jugador que inicialmente esté asignado a ser golpeado para subir a un balcón, puede sincronizar la explosión del anillo para eliminar toda la oleada de enemigos que sale de la cornisa. Ahora, en algo como Gruul, es probable que sólo se utilice en tiempo de reutilización. Pero yo diría que Gruul es la excepción que confirma la norma. Este es un punto razonable, y simpatizo con él. Dejando a un lado el hecho de que al hacer cualquier contenido en solitario tienes un control completo sobre la activación, aún hay más control con este legendario que con casi cualquiera de los ejemplos anteriores. Los Procs podían ocurrir en momentos totalmente inoportunos, a menudo desperdiciándose por completo, y si tienes suerte de que se active el manto de Xuen cuando hay una gran acumulación de enemigos agrupados, o si se activa 10 segundos antes o después, podía alterar drásticamente su daño total en un encuentro. 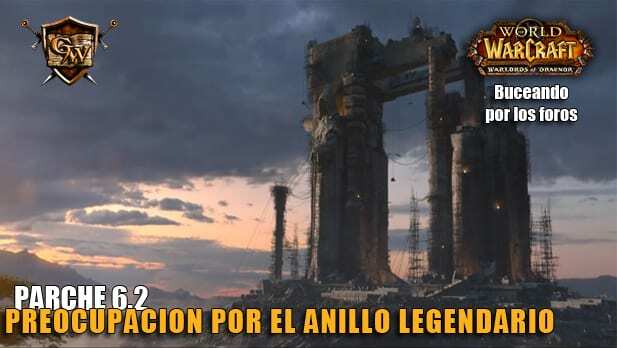 En su esencia, el anillo legendario es un objeto de raid – la gran mayoría del contenido y los pasos que se realizan para lograrlo te llevan a través de contenido de raid – y los jugadores que forman parte de un grupo de banda son la definición de cooperación y coordinación para enfrentar los desafíos. Los anillos añaden otra capa al trabajo en equipo. Incluso fuera de una raid de hermandad, no es ni típico ni se tolera en grupos de pickup que un mago use, por ejemplo, Distorsión Temporal para beneficiar su daño infligido a expensas de la raid, y me sorprendería que fuera común hacer esto con el anillo. Ahora, eso sí, en el Buscador de bandas, aunque también en general no se verán raids con toneladas de portadores de anillos, es probable que vea un comportamiento egoísta. Pero incluso entonces, el efecto no se desperdicia (sólo no se aprovecha al máximo), y esta acción no es probable que afecte al éxito del grupo o el fracaso en el encuentro como un todo dada la naturaleza del Buscador de bandas. Es cierto. Podríamos haber hecho un efecto de anillo perfectamente imparcial – algo así como “Equipar: Aumenta el daño y la sanación un 10%.” Eso también habría sido muy mediocre. Casi ningún efecto con profundidad beneficiará a unos más que otros, siempre y cuando nuestras clases / especializaciones tengan diferentes fortalezas y debilidades. (Y tampoco sentimos que la homogeneización de clase sea la respuesta.) En el transcurso de un encuentro, puede equivaler a una diferencia de un porcentaje de daño parejo, si eso. Esperemos continuar haciendo objetos interesantes y poco comunes, y algunos de estos favorecerán a las especializaciones que sienten que el anillo no es óptimo para ellos. 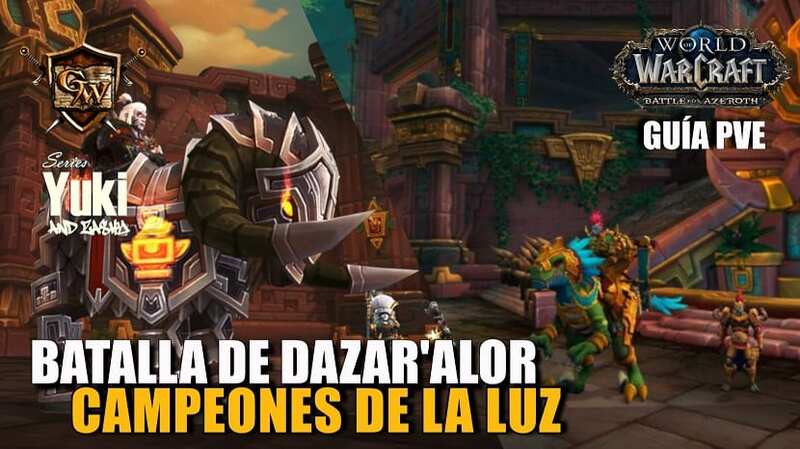 No hay nada en particular sobre el diseño del anillo que desaliente a las raids a traer personas que aún no lo tienen, en comparación con cualquier otro tipo de legendarios o de cualquier poder beneficioso de jugador . Los jugadores sin el anillo harán un porcentaje menor de daño (o de curación, o tiene un CD menos de tanque) en el transcruso de las batallas en conjunto, pero eso es sólo la naturaleza de cualquier elemento de gran poder. 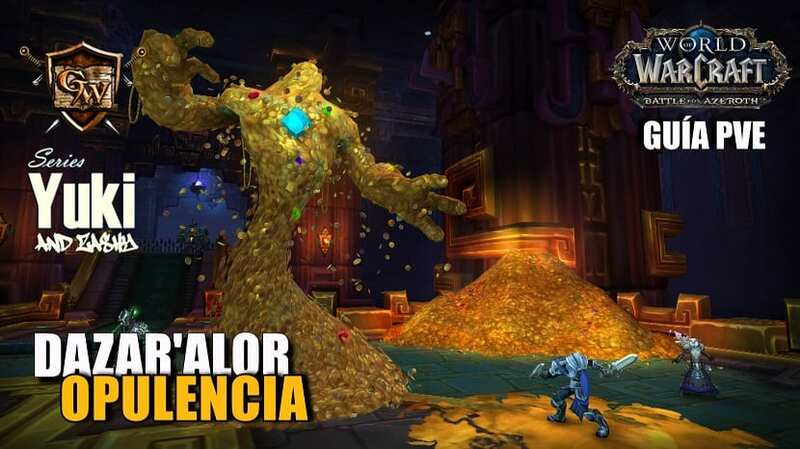 En realidad no es diferente de las capas de Mist of Pandaria o de las otras versiones del anillo que no tenían ningún componente de sinergia con el grupo. Estoy seguro de que más adelante en la expansión habrán hermandades y pickups que prioritaria o exclusivamente prefierirán personas con anillos legendarios, pero eso es una dinámica social que es casi inevitable con cualquier forma de progresión de poder del jugador, ya sea un objeto legendario o simplemente el nivel de objeto en general. Además, como una aclaración separada, no estaba diciendo que eso no será utilizado en el pull. Es absolutamente seguro que se utilizará en la gran mayoría de los casos. Sin embargo, el tiempo de reutilización es lo suficientemente corto como para que surjan muchas oportunidades para ser más táctico con su uso como sucede en los combates, en lugar de usarlo de forma automática cada 2 minutos. Por último, nada en Ciudadela del Fuego Infernal se está diseñando en torno a tener el anillo. Esa es una gran parte de por qué no está disponible actualmente para su uso en pruebas de RPP. 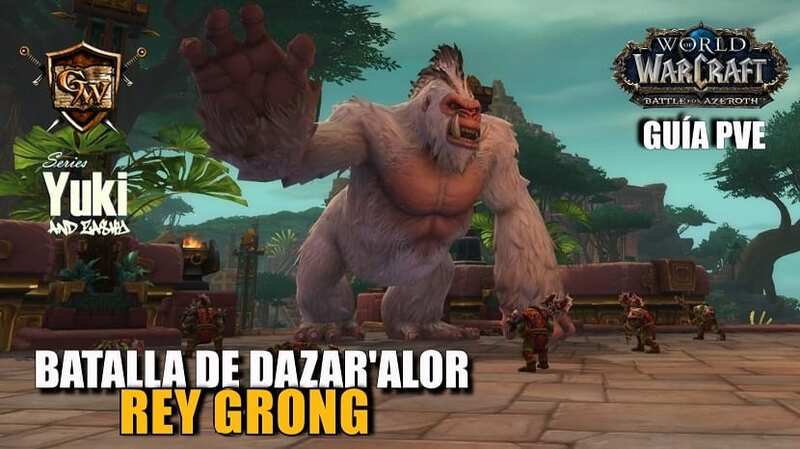 En Asedio de Orgrimmar, muchos jugadores tenían sus capas antes de entrar por primera vez en la zona el día del parche, diluyendo un poco el impacto de completar la capa ya que esos jugadores no experimentaron comparar un antes y después en combates específicos una vez superados. El avance en Ciudadela del Fuego Infernal, por el contrario, se producirá sin anillos legendarios en el grupo. Y conforme los miembros de la banda completen sus anillos, el poder del objeto legendario ayudará a superar las fuerzas de Gul’dan. Como opinión personal, estoy bastante de acuerdo con este nuevo giro en este objeto legendario en concreto. Me parece original y bastante acorde a lo que un anillo representa. 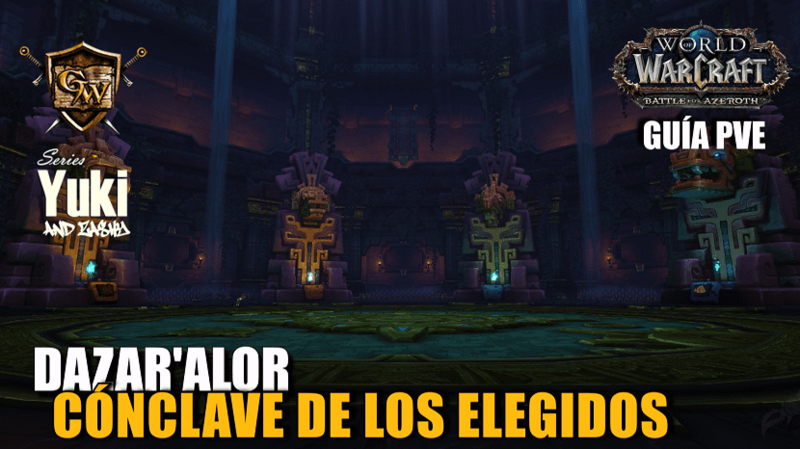 Además todo lo que añada más dinamismo a la coordinación y cooperación en un juego online multijugador masivo lo veo un aspecto positivo, y más si consideramos el sistema PvE de raid que tiene WoW. Y vosotros ¿qué opináis?, ¿os gusta la nueva dirección elegida o preferís lo clásico?